I was dismayed, but held my tongue. How sad! This mother was enduring, not enjoying, her years of child rearing. God meant for her to delight in that time, not just survive it. God wants you to experience joy as a parent, too. Remember, a passionate parent is a mom or dad who enthusiastically and fully invests him or herself in the joyful responsibility of teaching their children about Jesus. A passionate parent is all in. Our culture offers a myriad of distractions that draw our hearts away from God. Then there’s our internal struggle with sin. Parenting is hard work, and frankly, sometimes we’d rather not bother working at it. 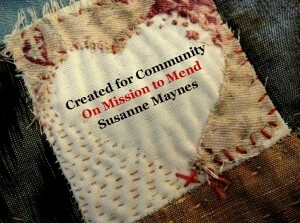 On top of that, it can be tempting to put other ministries ahead of what we do at home with our families. But here’s the deal: Raising your children well is the most important ministry you will ever have. No matter if you bring hundreds to Christ, or write dozens of books, or lead worship for tens of thousands, nothing is more important than raising godly sons and daughters. Not ministry, not career, not hobbies … nothing! The top priority for passionate parents is teaching and modeling how to love God. This is not an extra item; it’s the core around which family life centers. Love God wholeheartedly and talk about the gospel in your family life, 24/7, 365. There’s your parenting mission from God in a nutshell! 2. A passionate parent is authentic. “Authentic” is a really popular term right now, so let me define what I don’t mean by that. I don’t mean telling strangers your deepest, darkest stuff. That’s called oversharing. I also don’t mean blurting out whatever you think about other people, and then claiming, “That’s just me being honest.” That kind of “honesty” is just a mask for self-righteousness, and it’s anything but authentic. By authentic, I mean what you say matches what you do. Your words and behavior line up with your faith and values. You’re not one person at church and another person at home. You live out your faith, not perfectly, but passionately. 3. A passionate parent is attentive. God has dreams for your children. He grants you the privilege of training them, but he has specific purposes in mind for each one. 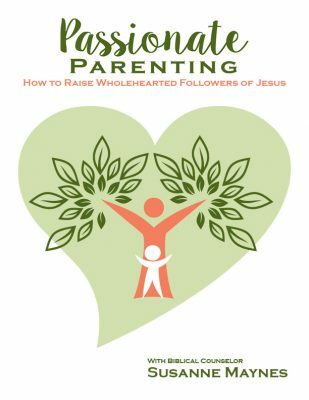 The passionate parent dreams with God about who their son or daughter is supposed to become. That means you pay attention. You study the uniqueness of each child. You pray over them. As they unfold like flowers in a garden you are tending, you get to participate with God in his plans for them. Okay if I pray for you? Father, grant these dear readers to be all in, authentic, and attentive as parents. Pour out your grace on them as they pass on their wholehearted love for you to their children. Amen!